Mapihi lives on the shores of Lake Okere and Lake Rotoiti, where she has spent a large part of her life. Her whānau describe her as a pillar of strength especially for emerging leaders within her whānau. It is my pleasure that I have the opportunity to write about Mapihi as a Māori leader. Mapihi returned home recently to Rotorua after several years in Wellington where she held the lead role for Waka Hourua, a suicide prevention programme for Māori and Pasifika communities run by Te Rau Matatini in partnership with Le Va.
Whilst there she organised and facilitated national hui and fono events; developed national cyber bullying resources; reviewed the national Te Whakauruora Māori Suicide Prevention resource and training; established the national Pae Ora programme, and played a significant part in influencing Government policy and direction across Ministries. 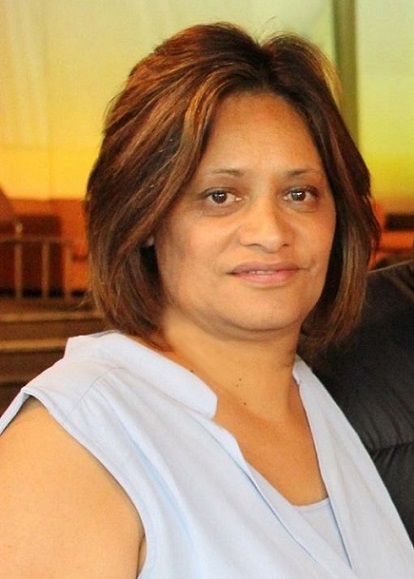 Mapihi’s leadership skills as wahine Māori meant she was capable of working with diverse people, iwi, providers, and senior management on different types of issues which at times were extremely challenging and yet rewarding at the same time. Earlier on in her career she worked for Te Rūnanga o Ngāti Pikiao Trust in a number of roles. However, her most notable achievements was as a Kia Piki te Ora Project Leader working within the Lakes District Health Board catchment area. A standout achievement was that Mapihi was part of a project team which organised the very first Kia Piki te Ora National Māori Suicide Prevention Conference in Rotorua. In fact this is the first Māori suicide prevention conference ever held whereby Māori of all backgrounds were able to talk about Māori suicide and its impact on communities. Prior to this, she was the Lakes District Health Board’s Suicide Prevention Coordinator. A position that required strong advocacy and strategic thinking as very little suicide prevention and postvention activity was available at the time. However Mapihi’s strength in working across networks and communities ensured more coordinated approaches were in place. Finally, Mapihi is a qualified and experienced social worker, and is currently studying towards a Master of Indigenous Studies through Te Whare Wānanga o Awanuiarangi.